RATHER THAN set up its own welfare programmes, the Anglican Church in Athens has decided to work with other Churches and humanitarian institutions. It has heeded the World Council of Churches’ advice that, wherever possible, Churches should work together rather than independently. Below is a list of the programmes the Chaplaincy is currently involved in, or provides financial support to. Greece has become the gateway for refugees from Syria, Iraq and Afghanistan moving into Europe. They are fleeing war, terror and the breakdown of civil society. The Anglican Church in Athens has encouraged a joint response to the needs of refugees by the Churches in partnership with UNHCR. Various Churches have established or are about to establish programmes, all of which need funding. By coming together, these Churches can support each other with resources and personnel, whilst avoiding needless duplication. The Anglican Chaplaincy in Athens has been the recipient of financial donations from Anglican chaplaincies in Europe, parishes in Britain and private individuals for assisting work among refugees. It is using these funds to support already established programmes. For example, we have sent financial support to ‘Medical Intervention’ (a welfare organization for refugees arriving on Samos) and to ‘Lighthouse’ (a team of volunteers who await the arrival of dinghies along the dangerous coast line of Lesvos). We also made a collection of clothes and toiletries and paid for sleeping bags for refugees in a detention centre. We have hosted three Church delegations from the UK, which has led to a major appeal being launched in Britain to raise donations focused on the refugees’ needs. This is an ecumenical programme, jointly established by the Orthodox Archdiocese of Athens and the Anglican Church in Athens. Since March 2009, some 800 meals are distributed daily to refugees, irregular migrants and impoverished Greeks. The distribution occurs within the courtyard of the offices of the Athens Municipality found at the end of Sofokleous Street as it joins Odos Panagi Tsaldari (known as Odos Pireos), at Plateia Odeiou. Volunteers gather at 11:45am for a distribution at 12:00 noon and again at 4:15pm for a distribution at 4:30 pm. For further information, please ring (+30) 210 721 4906. This is a newly-built kindergarten for children of impoverished families or single parents. It is under the auspices of the Orthodox Church. The chaplaincy has made available an emotional needs teacher with an assistant. Besides delivering lessons focused on emotional needs, a very popular ‘Parenting course’ is also provided. Material for the teaching of English from an Episcopal Parish in the USA has been given to the school, as well as a donation towards an air-conditioning system. This is a hostel established by the Orthodox Church. Through the Anglican Church in Athens, a small team is giving lessons in conversational English, plus art lessons. This same team organises the occasional excursion to an exhibition or a place of entertainment, such as a bowling alley. In Greece, there is a desperate need of care homes for Senior Citizens. ‘Loida’, run by the Hellenic Scripture Union, has been open for 30 years. It is found at 48, Ionias Street, in Kifissia, and cares for about 70 residents. The Anglican Church in Athens has donated money to this home to assist with the improvement of its facilities. A programme to establish a ‘nursing at home’ programme has recently been introduced. Their website, presently available only in Greek, is: www.sugreece.gr. Years of austerity have bitten deep into the lives of the population of Athens. In the spring of 2012, the Anglican chaplain in Berlin enquired as to whether his congregation might send a donation to St Paul’s, Athens, to help provide relief for those facing hardship within the city. Since then, significant donations throughout Europe have been sent to St Paul’s for this purpose. Such monies have largely been channelled to Apostoli, the welfare organization of the Greek Orthodox Church. Apostoli has an effective food distribution scheme throughout the city – soup kitchens, food banks, monthly food parcels for large families, and food distribution to schools in impoverished neighbourhoods. Over the past few years, the demands on this scheme have increased significantly. The Anglican community in Athens is grateful, and feels privileged, for being the recipient of donations from far afield to assist in meeting need in Greece during these days of acute austerity. Our gratitude to the donors is deep and real. ‘Apostoli,’ the philanthropic organization of the Sacred Archdiocese of Athens, has most gratefully received a donation of £13,571.91 (€18,050.64) from your Diocese’s 2015 Lent appeal. First of all, I wish to thank you for sending us this important donation through our local Anglican friends and fellow partners, i.e. Fr. Malcolm Bradshaw and his parish in Athens. Gifts from donors provide the moral and financial support needed to continue our mission. Your generous donation to ‘Apostoli’ is therefore greatly valued and appreciated. With your precious contribution you have demonstrated your acknowledgement and appreciation of our work of providing material and moral assistance to some of the most vulnerable segments of our society, bewildered by the lingering economic crisis that has befallen our country since 2010. Here at ‘Apostoli,’ we are continually inspired by the generosity and dedication of our donors, whose precious support is helping us to make it possible for our beneficiaries to lead better and happier lives. 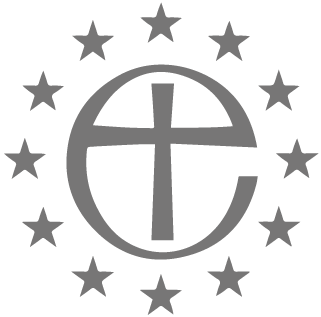 Taking this opportunity, please let me add this: in these critical times for Europe and the Christian Churches of this Continent, your continuing support is a wonderful and moving example of Christian solidarity and love.